We thought you might enjoy a few pictures and tips on how we plant our hills of pumpkins! First, we dig a shallow hole with a shovel making sure to break up the clods. Since we “grew our own mulch” this year, it is better to dig individual holes than to till a strip of soil to keep our mulch layer intact. Once we have a nice mellow seedbed, we then press three to four seeds in the corners of the hole so each seed has plenty of room to sprout and grow. Next, we cover the seeds with approximately an inch of soil making sure to break up the clods to give the seeds a soft layer of earth to grow through. After the seeds are covered, we firm the top of the soil to make sure the seeds are in good contact with the moist soil. Finally… the most important gardening tip! 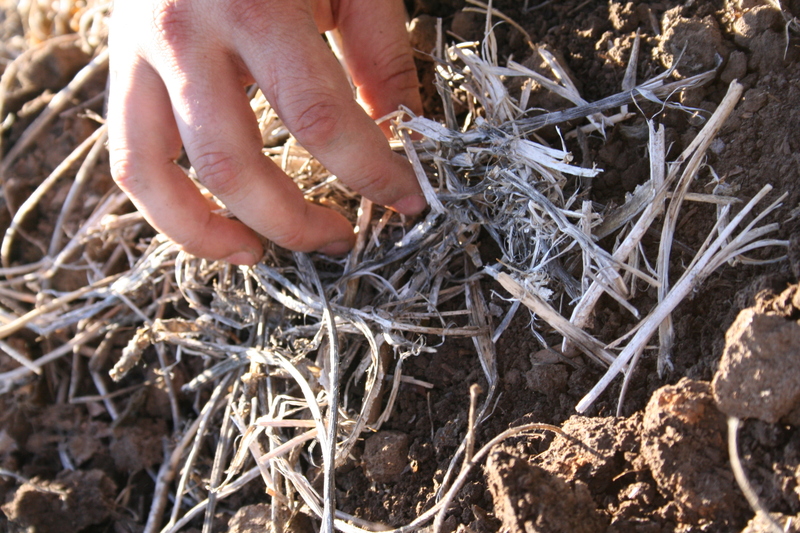 We take a bit of residue from the field (in our case… it’s the remains of last years’ soybean crop… but you can use grass clippings or straw) and sprinkle it on the freshly packed soil. This will help the soft soil from forming a hard crust. 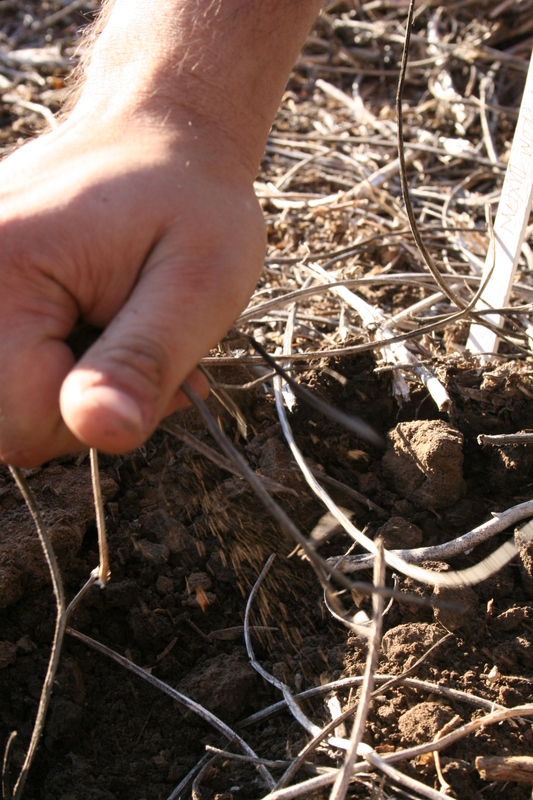 Crusts can form if you plant in soil that is overtilled, and especially if it rains hard after you plant and prior to the seeds emerging. 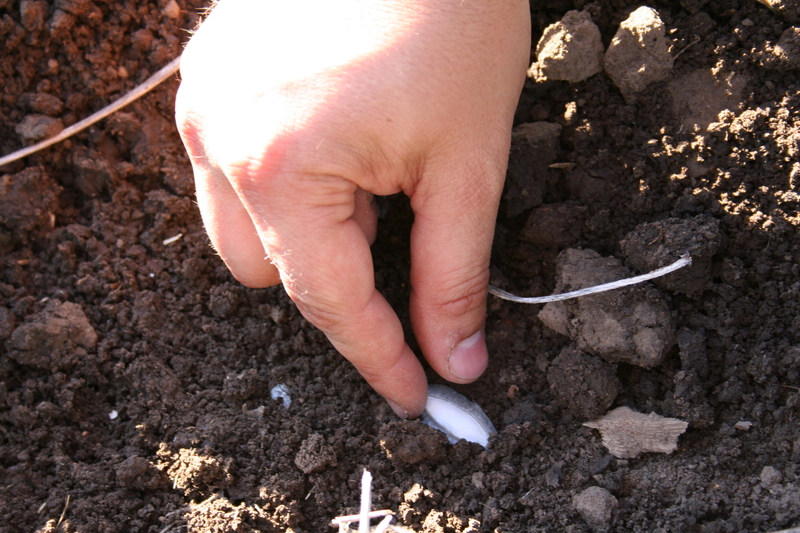 If there is a layer of residue on top of the soil, it will soften the blow of driving rain. Placing the seeds in the freshly-dug hill. Crumbling soil on top of the hill to cover the seed. The most important step–the residue cover! That’s a lot of pumpkins! and a lot of work!!! But, they are the best… and I can’t wait to see them this fall!